When most people think of Las Vegas it is all about the lights, cards and slot machines. While those things are very attractive and fun my mind was on a bucket list fishing destination. Lake Mead is about 30 miles away from the flashy lights of Vegas. Lake Mead is a result of one of the biggest engineering feats of the 20th Century, the Hoover Dam. The dam was built in the 1930's and stands over 700 feet high and over 600 feet thick at its base. It is an amazing structure that creates the largest reservoir in the United States which creates power for most of the Western coast and supplies water to those same states. Pictures do it no justice, it is a must visit. On to the fishing, the lake is currently at a normal level and has over 500 feet of water in its lower basin. We fished the lower end of the lake about ten miles north of Hoover Dam. Our guide for the day was Kevin Durham, he is the owner of "Fishfinders Guide Service". After researching the guide in the area, there are 4 licensed guide for Lake Mead, he rose above the rest in many ways. We met at a gas station at 4:45am on a Wednesday in Henderson, NV. This is closer to the Vegas and the Uber was about $50. We jumped in his vehicle and we were off to the lake. We had a chance to talk about the day and how things were hopefully going to go. 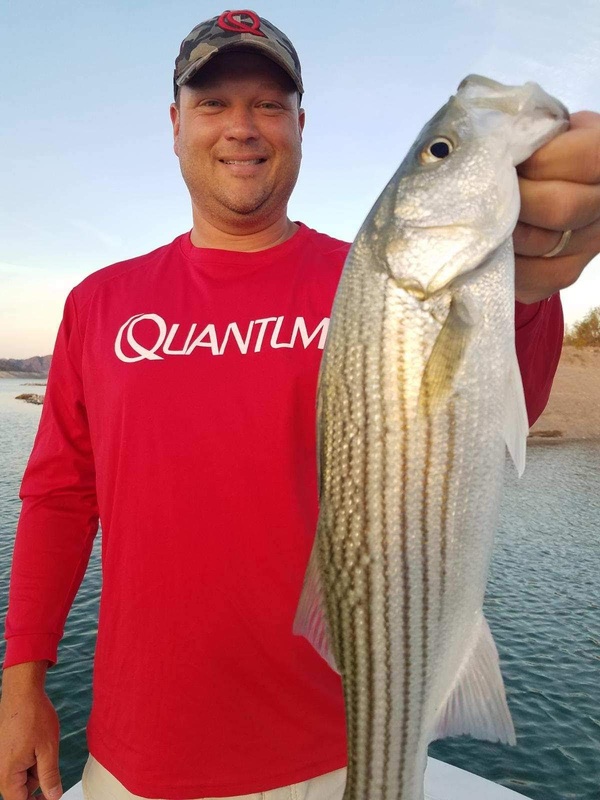 Stripers were the target for the day, as they are the most populated fish in the lake and offer a fight you will not forget. Stripers are notorious for feeding on the top of the water during the hot summer months. Their main forage is shad, which our guide was able to find very quickly. We were throwing popper baits as well as walking topwater baits. The action was hot at times, and Keith and I had 14 double hookups in the morning trip and we totaled 50+ fish on the trip. Most of the stripers were about 4 pounds and every single one we caught pulled as hard as anything I have ever caught. It was an adventure in a National Park that I will never forget. 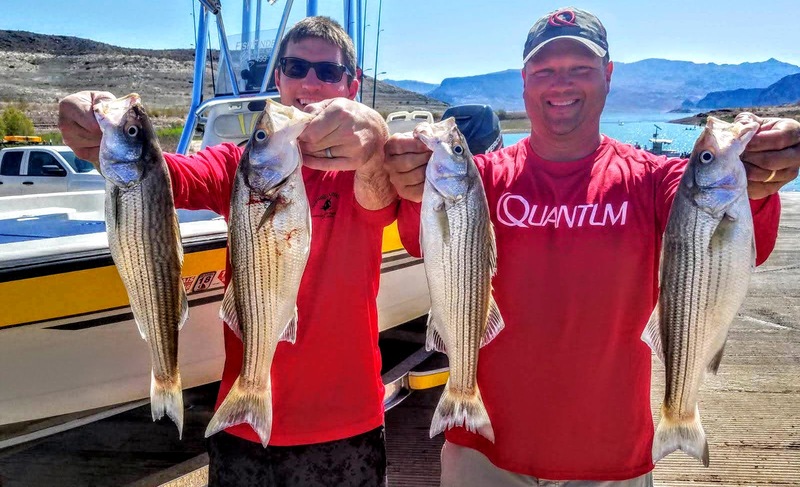 If you ever get the chance to go to Vegas, put this fishing trip on your list with Kevin, you won't be disappointed! 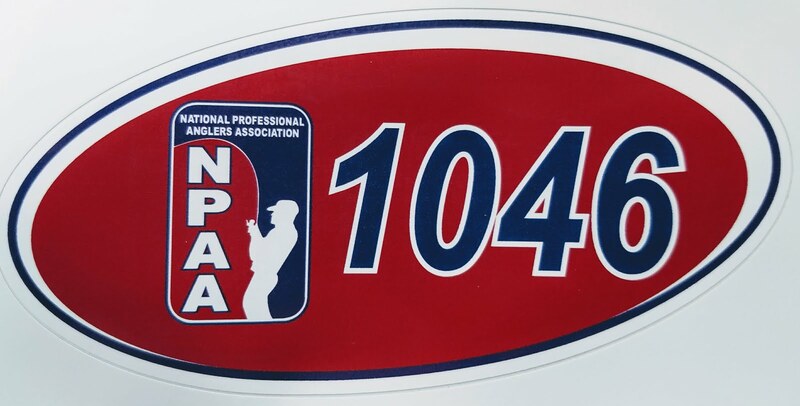 This past Saturday I participated in the Cedar Valley Bassmaster Ken Thompson Memorial Tournament. I joined this club as soon as I turned 18...which was a few years ago. At that time many Independence bass anglers were in the club, including Kevin Christensen who I fish many tournaments with throughout the year. Kenny was the president of the club when I joined and was the glue that kept everything together and events going all year long. Ken actually founded the club in 1983 and has been a huge reason why this club is still going strong today. The current members of the club did a fantastic job of creating a memorial tournament in Ken's honor. Anyone that had fished in the Cedar Valley club had an invitation to this event, not only to chase down bass on the Mississippi River, but to see the guys in the club and remember all the good times that Kenny brought to those people around him. He was just one of those guys that always had something funny, yet true to say. A great man that brought bass fishing to full scale here in the Cedar Valley, he will never be forgotten by those he spoke and fished with. Kevin Christensen and I joined up for this event in preparation for our bigger event next weekend on the Mississippi River, the more time on the big river the better. We fished Friday in Pool 9 to look around and see what the water levels looked like. We instantly liked what we saw, plenty of current and plenty of green weeds in the bottom half of the pool. The fish seemed cooperative on this day, eating the IMA Skimmer, swim jigs, Hot Rod Baits tubes and Wig's Jigs. We put together a plan throughout the day and felt pretty good about the work we did on this day. My how a day can make a difference...especially on the Mississippi River! Tournament day came and we found ourselves following our plan, but things were definitely very different on this day. The first thing we noticed was the bass did not want anything to do with topwater and I had several short strikes on the swimjig...it was a totally different day! It was time to slow down and put the QuantumPT Flipping rods and reels to work. Wig's Jigs and Hot Rod Baits Tubes were the baits we stuck with the majority of the day. We were in and around current all day, wood, weeds and rock all played into the limit of 5 bass that we weighed in. It was one of those days that we knew we had to work hard all day long right up to the last few minutes to get every ounce of weight we could. 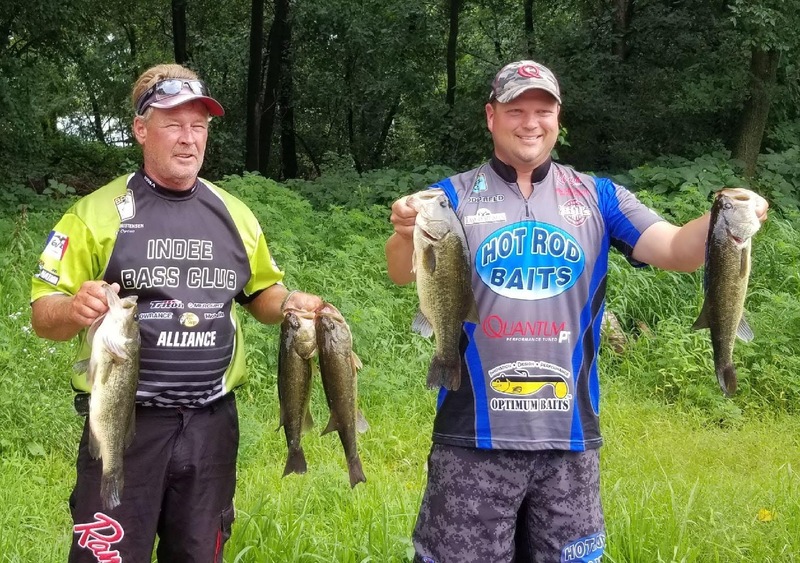 They totaled 14.20# which gave us a 2nd place finish out of 27 teams, we were happy to see our weight go above 13 pounds, which is a target weight for July and August events on the Big River. We were beat this day by 0.03 pounds, but the winners of the event made that much easier to accept. Randy Toale and Trent Beier, both Independence guys took the win this day. I have known these guys since grade school and Trent and I teamed up to win the Anglers of the Year in the Cedar Valley Bass Club back in 2013. Fishing against friends can cause some anxiety at times, but on this weekend it was great to see the top two places go to the "Indee Boys" as Kenny Thompson called us so many times. Great job CEDAR VALLEY BASSMASTER club leaders, I hope this event continues for a long time! July 11th, Wednesday evening was an absolute gorgeous night to fish. It was a bit warm, but a light breeze kept the anglers cool all night. The Wapsi in Independence was the venue for this tournament, and a first for the club to have an event in the evening. As the club coach I was not sure what to expect from the kids. 21 students attended the tournament along with 11 boat captains that gave up their evening to take the kids on the search for some Wapsi bass. This event was sponsored by Time Reed-State Farm of Independence, they provided gifts for the kids and boat captains, provided cool drinks throughout the event and awarded a dozen shirts for the top placing teams. They really made this night a special one to remember! 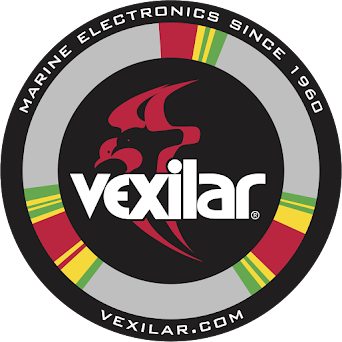 Two students are allowed per boat to work on a 5 bass limit that they weigh in at the end of the tournament. They work as a partnership to accomplish this goal at each tournament. The boat captains are there to run the boats and offer as much guidance to the kids as possible to help them learn the sport of bass fishing. The Wapsi was a little stingy on this evening, only 6 boats out of the 11 came to the scales with bass over the legal limit of 12 inches. However, each and every boat reported catching some bass and even a few pike, however many did not make the 12-inch limit. Anglers had a lot of fun at this event, and I am pretty sure evening tournaments will be on the schedule going forward with this group of 7th-12th grade students.